This is now the second time this year that I have managed to salvage a terrible Saturday on Long Island by visiting a brewery. 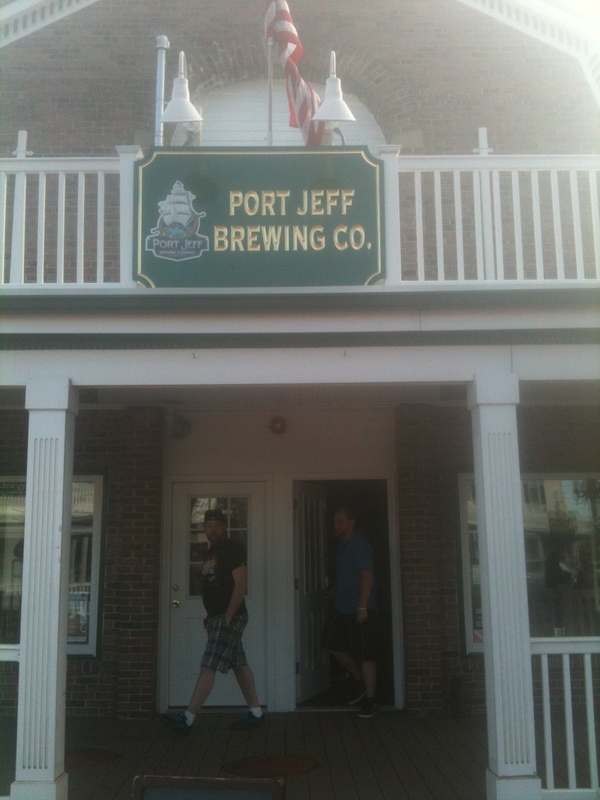 This time it was Port Jeff Brewing, which I had actually visited once before for that was planned to be written up, but i forgot everything that happened due to the surprise 30th birthday party i attended immediately after the brewery visit. every town has a brewery? Knowing what was in store was great heading back to Port Jeff. 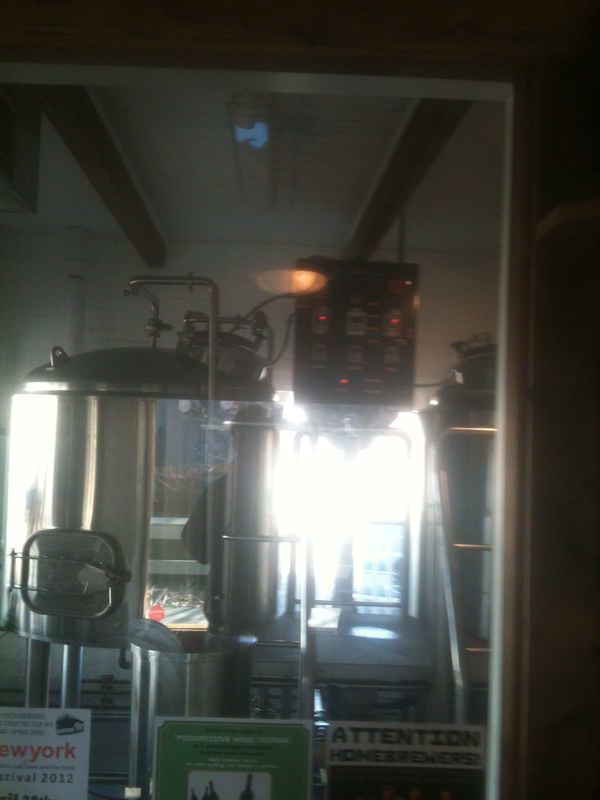 The brewery is right down by the ferry and is perfectly fit into the vibe of the town. Right off the bat, this brewery seems to have some staying power. Sweet walk up and taste vibe was pleasant, however, with no where to really sit and enjoy, its a bit tight at times. For this visit, they had 6 beers pouring for growler fills and tasting, and all were quality beers, though I preferred the regular schooner ale to the green version (for st. patty’s day). 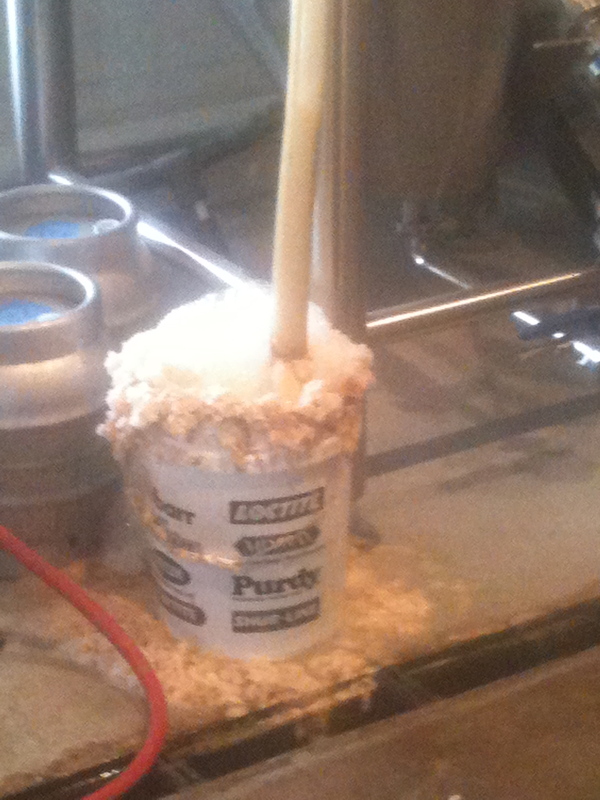 I was also able to sneak in the back to help change a keg, which is the second time I’ve “helped out” at a brewery. If you ever are heading out to the east end of long island on the north shore, definitely swing by this place!